I hope you are all well. We have a full newsletter for you in this edition. Firstly, you should take note of the updates which have been released to a number of training packages including TLI, HLT, SIT and SIB. The other news item that I particularly liked is the VET Knowledge Bank resource just released by the NCVER. I think this will be a very valuable resource to our sector. Well, we had a seriously great time at the National VET Conference in Adelaide, 12-14 September 2018. The Newbery team who attended this year included (from left to right) me, Bree, Kate, Jennifer and Sarah (Photo). We networked with many other businesses, caught up with many valued clients and even met some new clients! It was a pleasure to work with Velg Training again to participate in and present at this important event each year. The highlight for me was the talk given by Michael McQueen about the future of work. I just loved his insight. Now, we had an absolutely huge response to our previous newsletter of our blog on the requirements for Training and Assessment Strategies (click). Following on from that, we are doing a two part series on the topic of the Amount of Training. This is such a confusing requirement in the standards and I am hoping to share with you our lessons learned and some of the tricks to compliance. You can access part one of The Amount of Training at the following link (click). RTOs need to start preparing for their annual submission (due from 2 January 2019), as we draw towards the end of 2018. RTOs should be reviewing student subject activity and data collection procedures to ensure that it can be reported accurately as at 31 December 2018. In cases where RTOs do not have evidence that a student has signed the Student Declaration and Privacy Notice, RTOs must still submit their AVETMISS data to NCVER. The NCVER VET Knowledge Bank contains a suite of products that references information about Australia’s VET Sector. This is a key source of reference for RTOs to gain a broad overview of different aspects of the VET system in Australia. Congratulations to the 2018 state finalists and winners around Australia that have been awarded for their amazing commitment and innovation in their state’s VET sector. 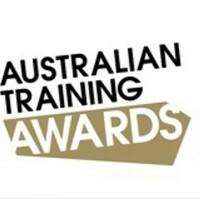 The winners from each state have the opportunity to contest the 2018 Australian Training Awards, which will be held in Sydney on 15 November. The Longitudinal Surveys of Australian Youth (LSAY) provides a snap shot of how study, work, attitudes and home life have changed for Australians aged 23 in 2017 when compared with those of the same age in 2007. 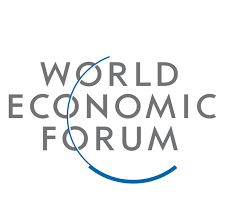 By 2025, machines and algorithms will do more current tasks than humans, however, this robot revolution will still create 58 million net new jobs in the next five years according to the World Economic Forum’s Future of Jobs Report 2018. To access the revised training package, click here. The Youth Pathways to Further Education & Employment conference will bring together stakeholders from across education and employment to showcase practical strategies to improve pathways, partnerships and engagement for youth. The conference will be held on the 16th & 17th October at the CQ Function Centre in Melbourne. The Australian Training Awards for the vocational education and training (VET) sector, recognising individuals, businesses and registered training organisations for their contribution to skilling Australia will be held on Thursday 15 November 2018 at the International Convention Centre in Sydney. We think that RTO Data Cloud will change the landscape of the Australian student management system market. We are proud to offer it to you. It would be our pleasure to offer you access as a trial user and if you like what you see, come on over! Newbery Consulting is pleased to offer this comprehensive policy and procedure and tools and forms package specifically prepared to support the complaints and appeals handling of Registered Training Organisations. Copyright © Newbery Consulting 2018, All rights reserved.This publication was researched and prepared by Newbery Consulting.